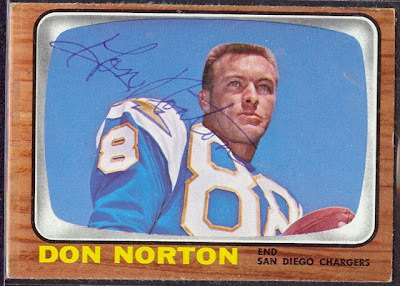 I got an email the other day from the family of former Chargers receiver, Don Norton. Don’s brother, Dennis, mentioned how he reads all of the Tales postings and went on to discuss some things that had been done around their hometown of Anamosa, Iowa, to remember Don. 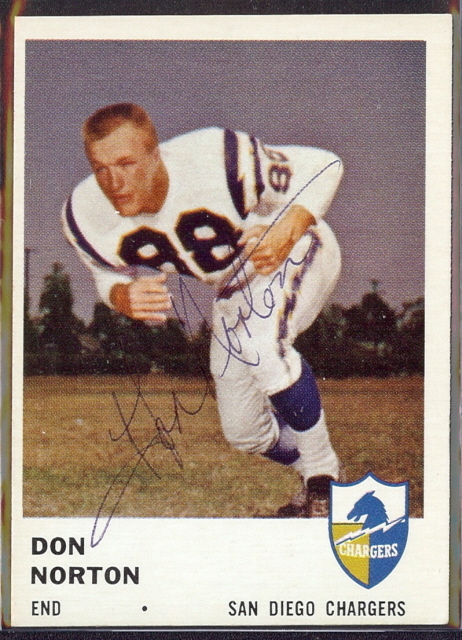 Just wanted you to know that my brother Steve and I wanted to keep our brother Don’s spirit alive and well in the town he grew up in, Anamosa, Iowa. 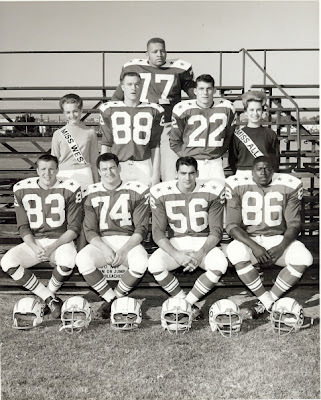 The results were from a scoreboard that was moved to an elementary gymnasium to a monument built at the football field where Don starting playing his high school football career. 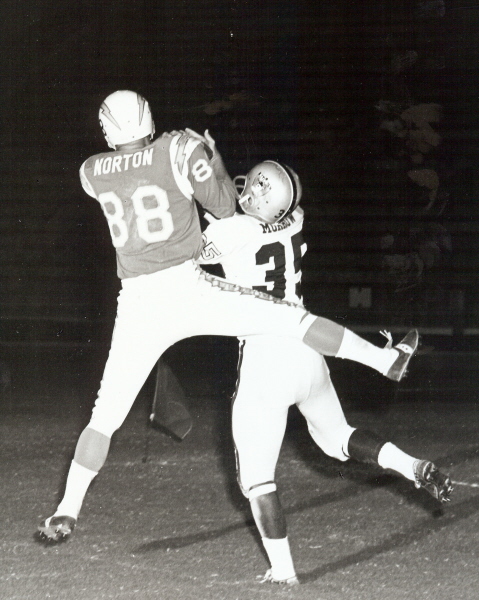 Remembering “Don Norton’s Football and Athletic Career” was our goal. 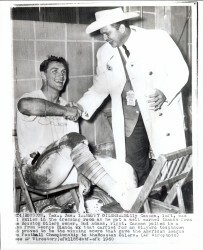 Nearly 100 individuals helped and / or donated to this memorial. 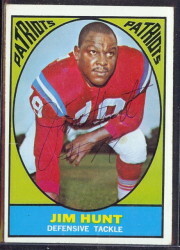 If you include spouses or significant others that number increased dramatically. 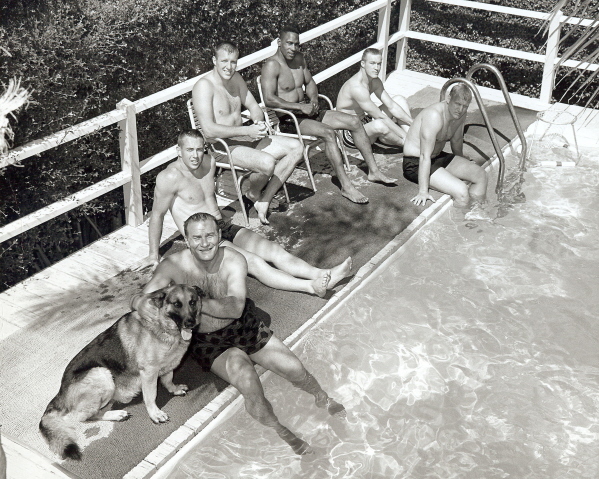 This included folks from Kentucky, California, Nebraska, North Carolina, Virginia, Florida, Minnesota, New Mexico and even from a friend who lives in Manila, the capital of the Philippines. In Iowa, we received contributions from individuals living in sixteen cities; fromDes Moines, Iowa to Guttenberg, Iowa to Fairfield, Iowa. 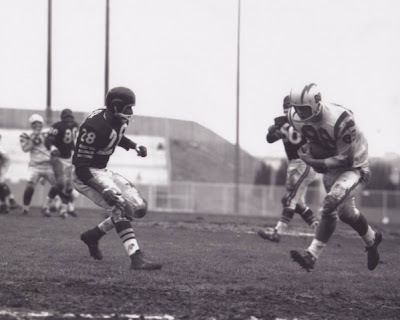 The help from individuals building this memorial was nothing but awesome; they dug holes, shoveled and racked rock, helped with the landscaping and much much more! 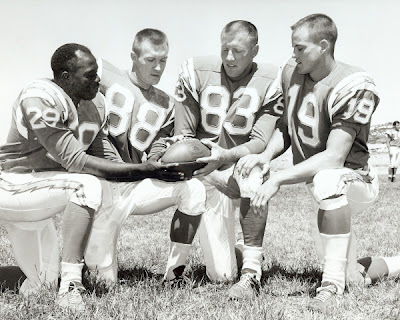 Those individuals even included many members of the 2017 Anamosa ‘Blue Raider’ Football Team! 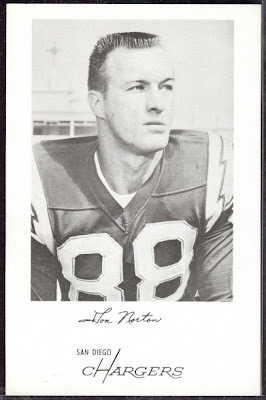 I hope you don’t mind this email which shows you a different way a family “preserves the legacy of the AFL” and the earliest days of a player who was “An Original Charger”. Remembering Don Norton now stands for all the young players who will walk by his memorial at a Small Town USA Football Field, look at Don’s image and read about his athletic accomplishments. 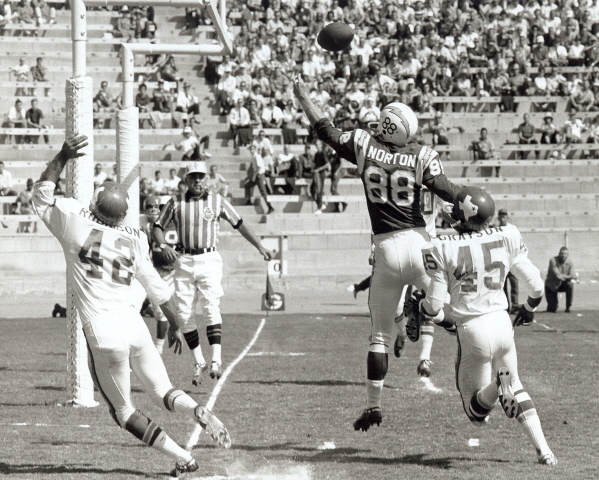 >Happy Birthday, Don Norton – An Original Charger! 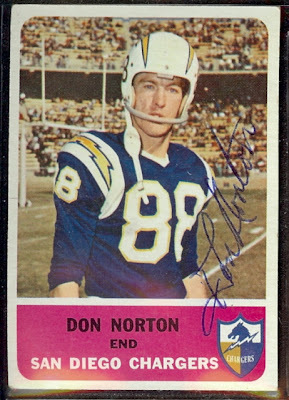 This week marks what would have been Don Norton’s 73rdbirthday. Sadly, Norton passed away in 1997, of complications from open-heart surgery. 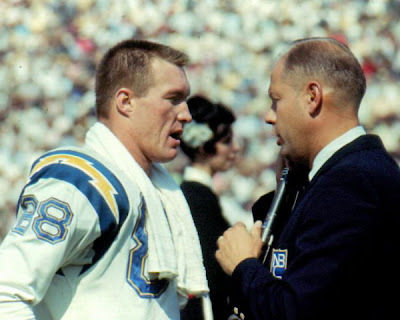 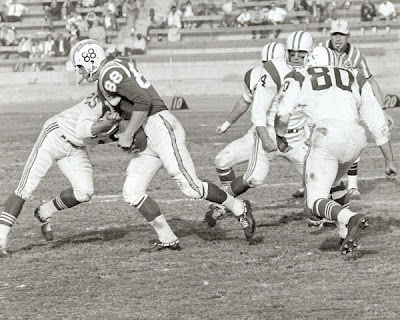 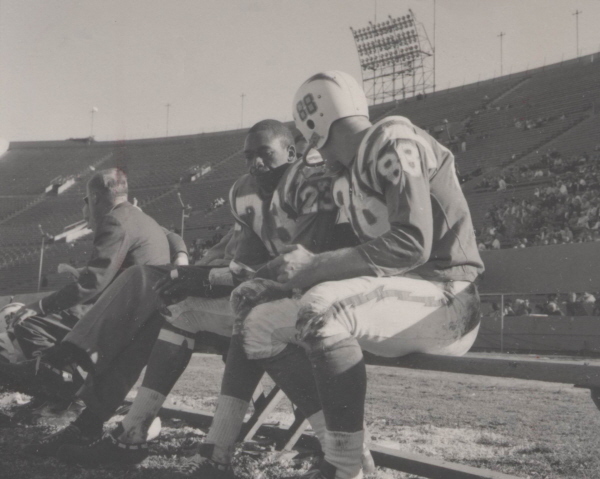 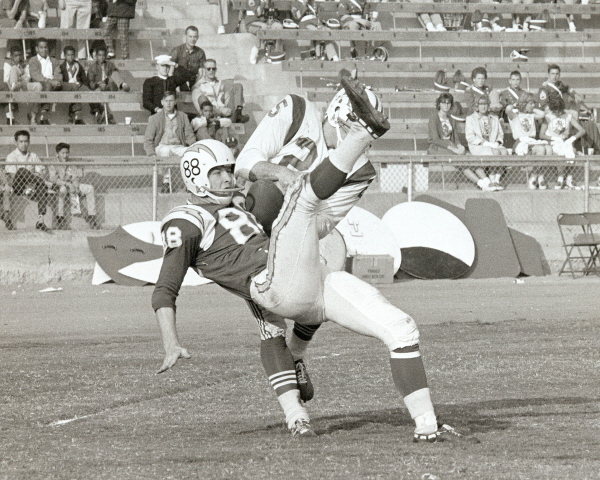 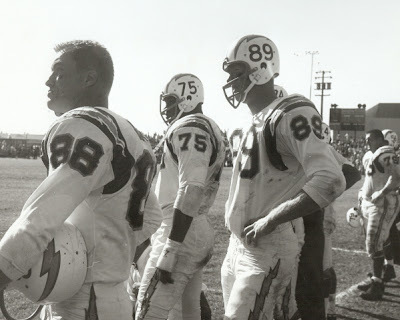 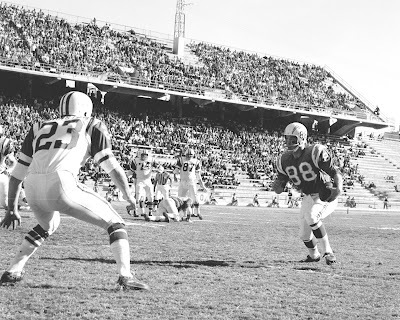 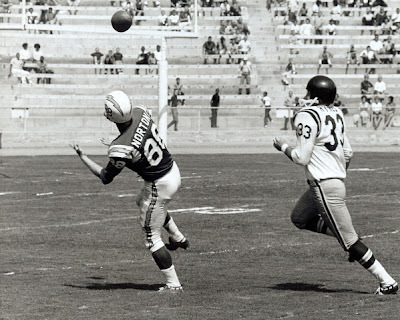 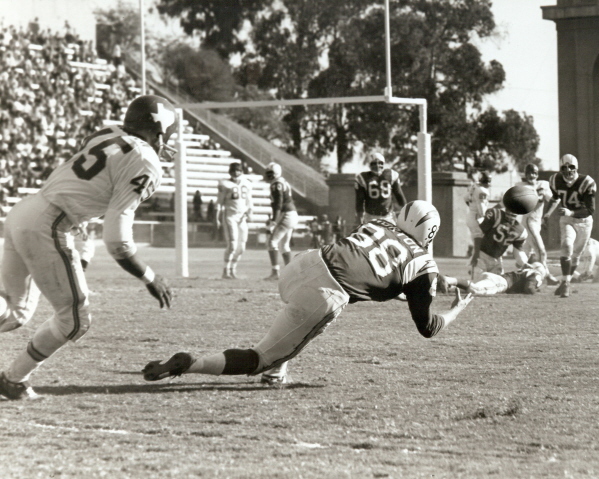 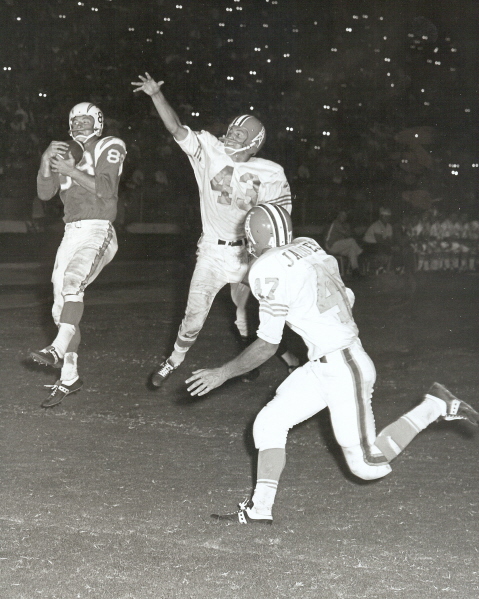 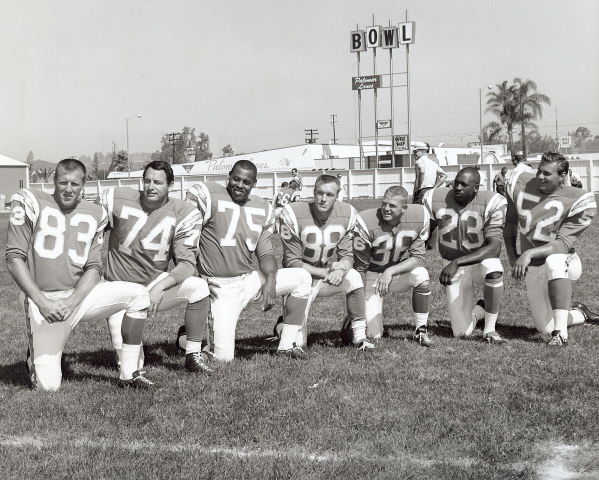 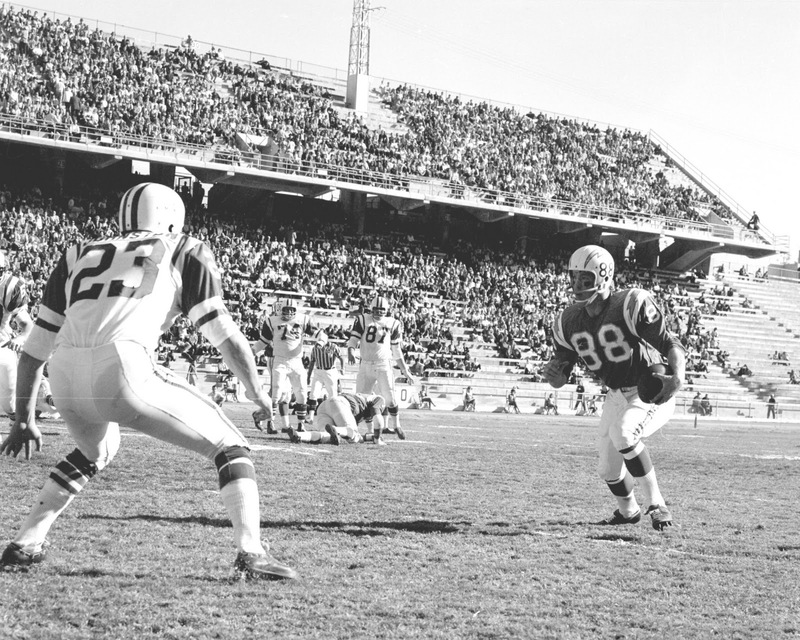 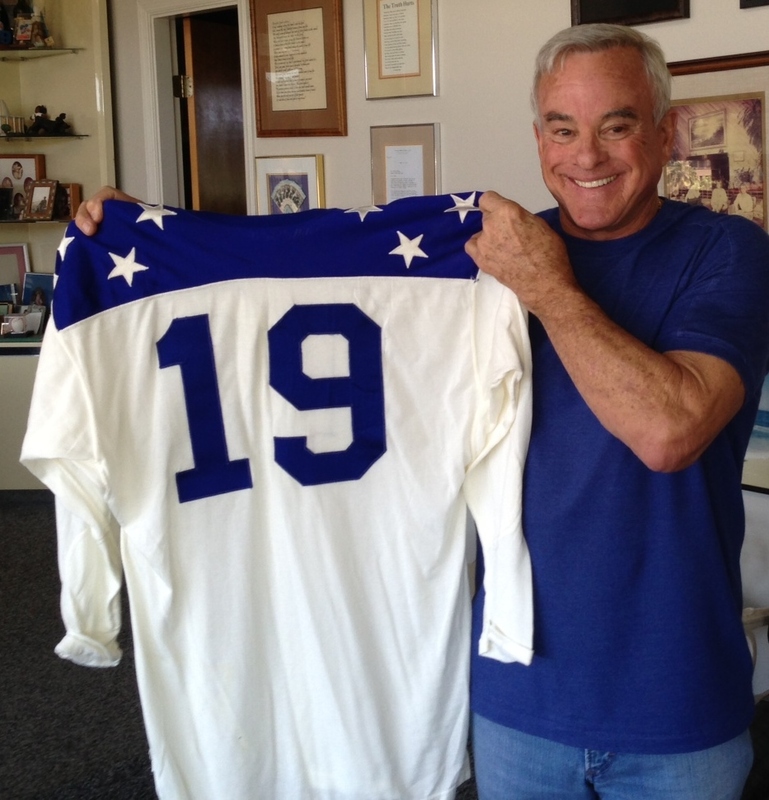 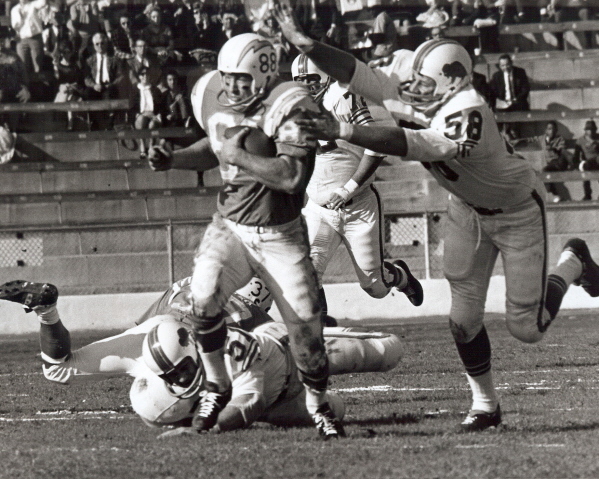 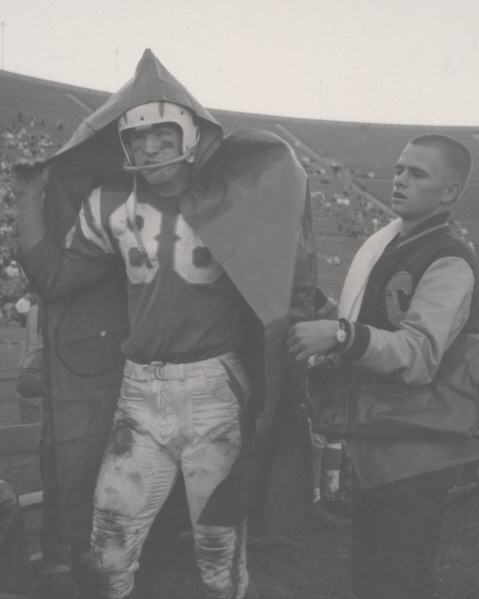 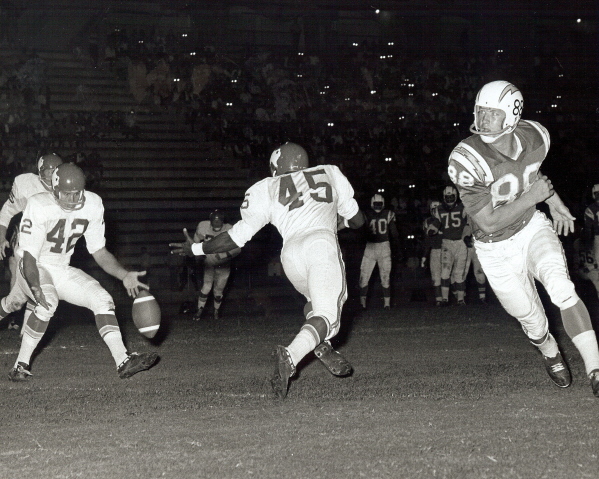 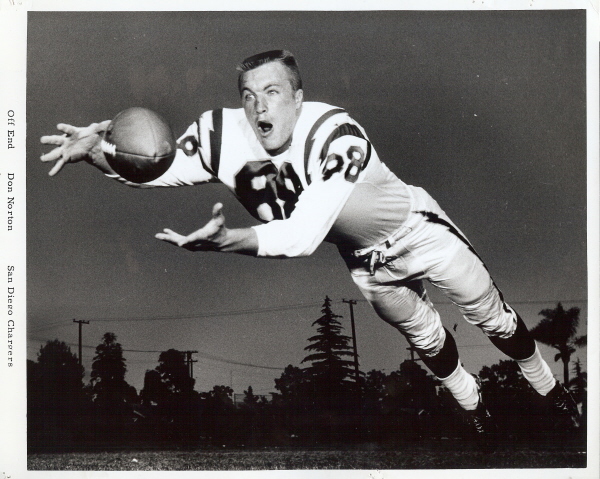 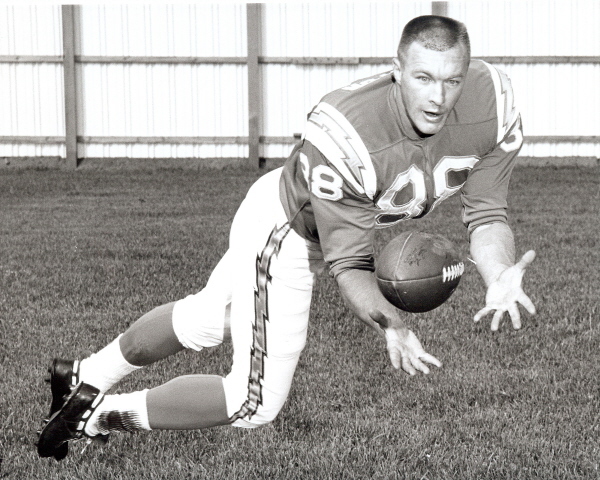 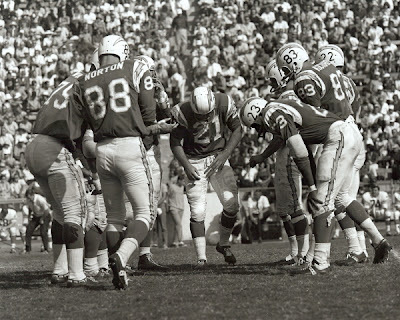 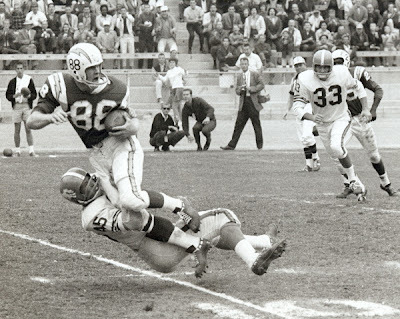 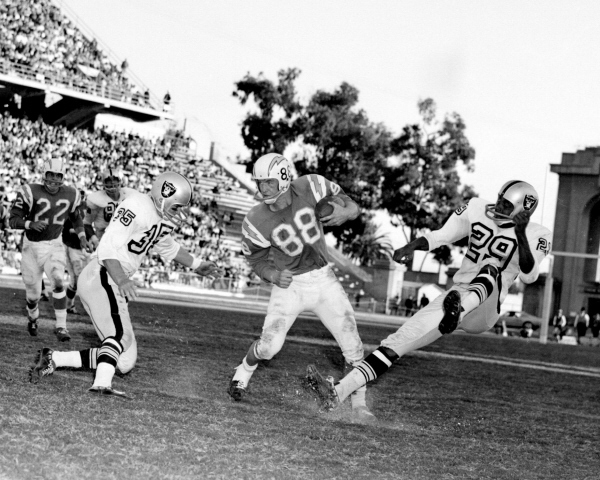 Don Norton was an original Charger, a member of the 1960 team that began in Los Angeles. 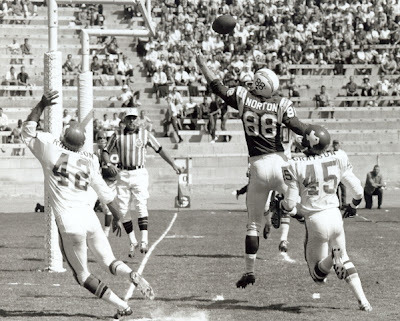 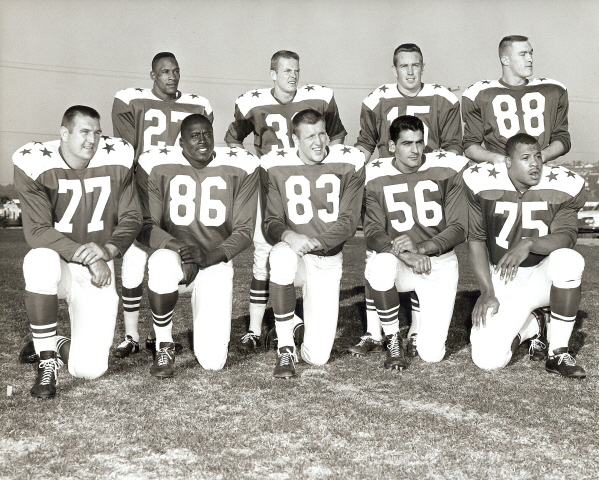 A two-time Rose Bowl champion and all-america end out of the University of Iowa, Norton was drafted in the first round of the 1960 AFL draft by the Oakland Raiders, but soon traded to the Chargers for defensive lineman, Charlie Powell. 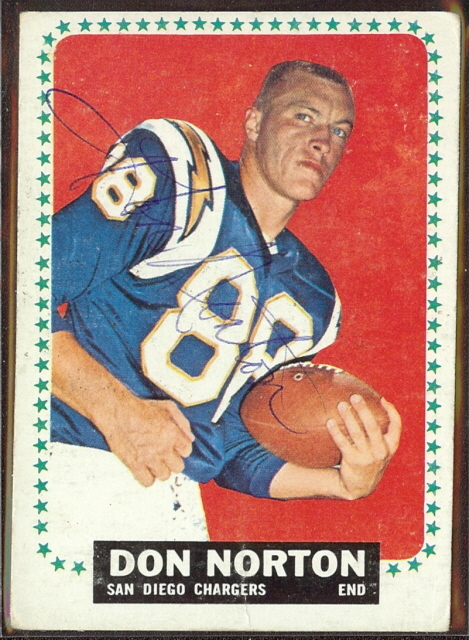 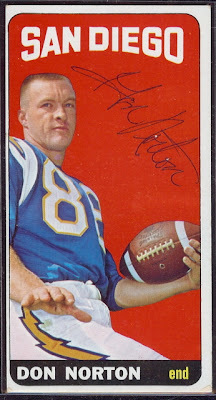 Norton was a workhorse, missing only seven games in his seven-season career with the Chargers. 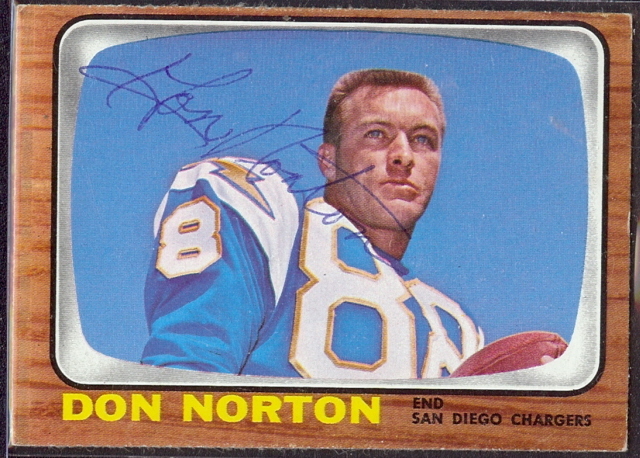 In 91 career games, Don Norton had 228 receptions for 3,486 yards (15.3 avg.) 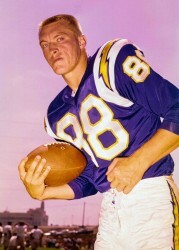 and scored 27 touchdowns. 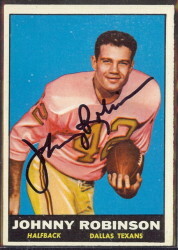 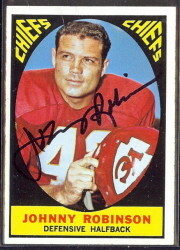 He was an AFL All-Star in 1962 and 1963. He played in five AFL championship games with the Chargers (1960, ’61, ’63, ’64 & ’65), and was an integral member of the 1963 AFL Champion Chargers team, despite playing the season with a back injury that he suffered while lifting weights in training camp that season. 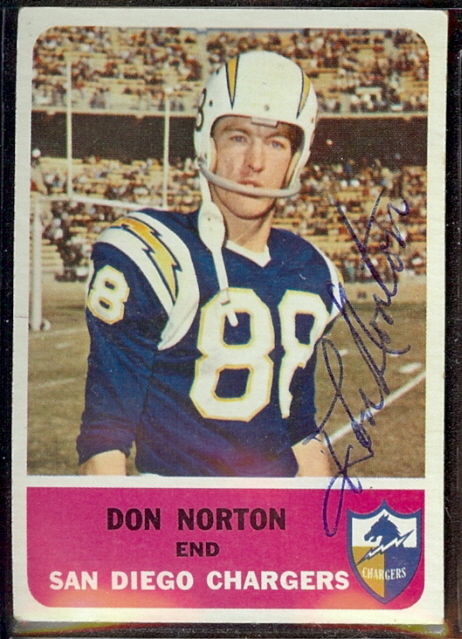 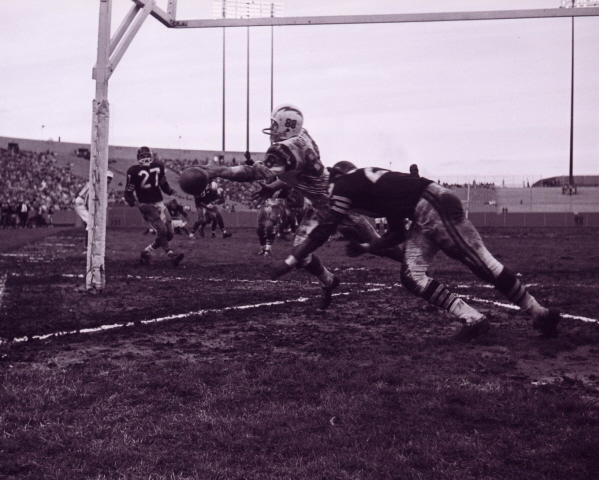 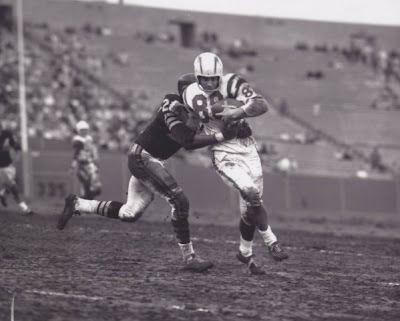 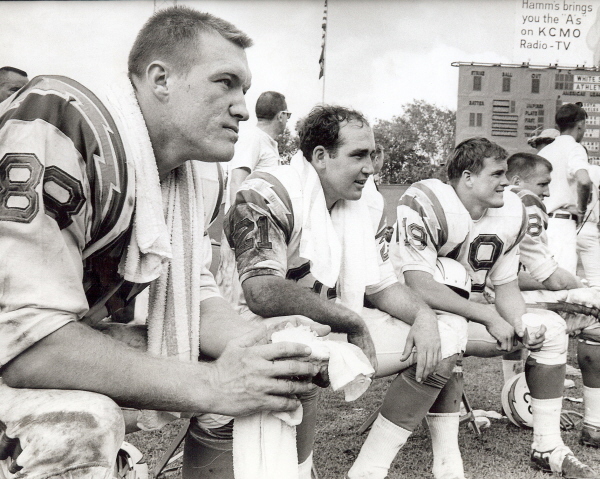 The following is a collection of photographs and memorabilia from Don Norton’s time in the American Football League.